Following an interval of almost sixty years, works by Henry Moore, one of the most prominent European artists of the 20th century, is once again on show in Wrocław. 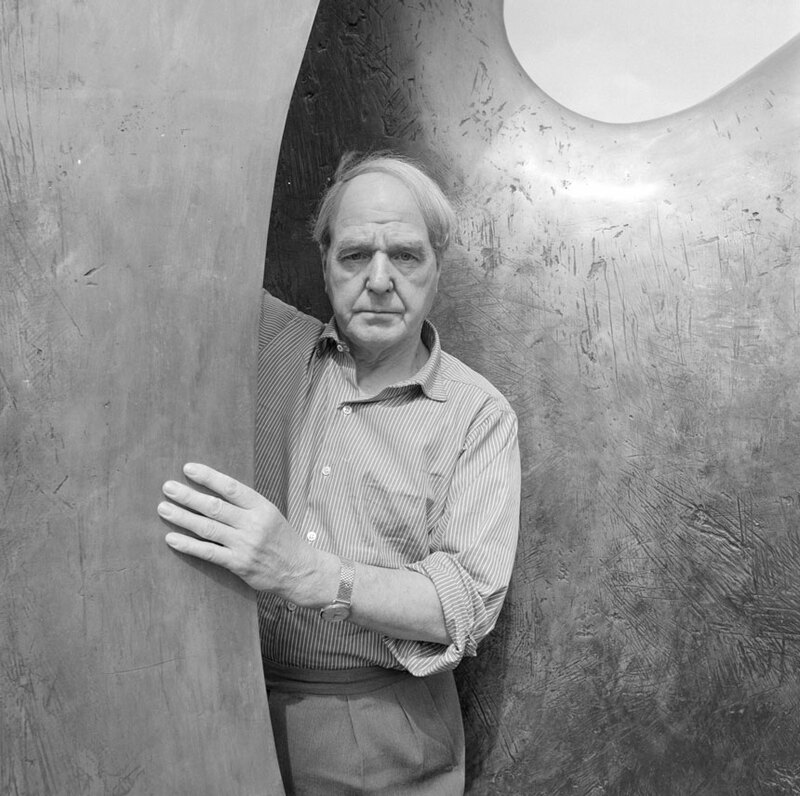 Henry Moore – the leading exponent of organic abstract art – is considered to be the artist whose work occupied a crucial place in the European art, and whose sculptures strongly influenced many generations of sculptors, including those in Poland. His creations, focused on a single human form or a group, captured in a monumental and synthetic form, are today among the classics of 20th century sculpture. In early 1960 the then branch of the Silesian Museum (now the National Museum in Wrocław) located in the Old Town Hall, presented for the first time works created by this world-class artist. That exhibition is remembered as one of the most important artistic events in the times of Poland’s isolation from the rest of Europe behind the Iron Curtain imposed by the treaty of Yalta. The post-war Polish society had only scarce opportunities of contacts with the most significant artistic trends in the contemporary world arts scene, its insprations and the artists who created it. The Henry Moore exhibition provided such an opportunity and enjoyed a very warm reception. 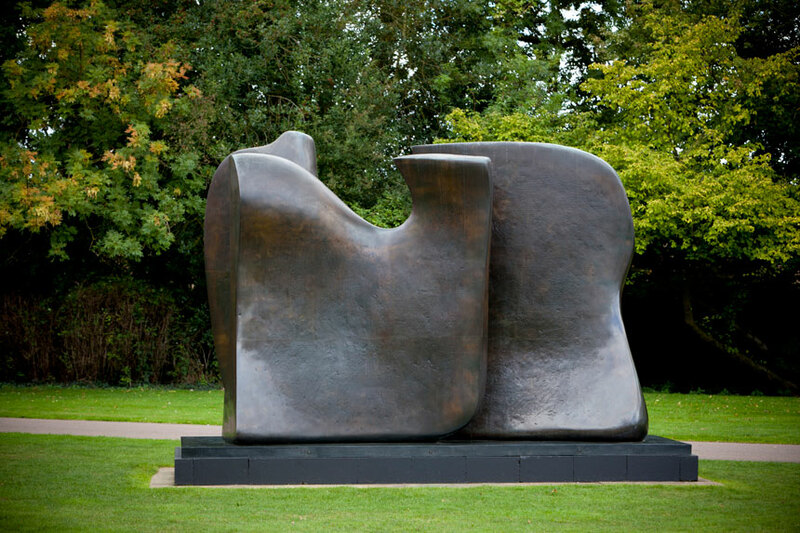 The exhibition in 2018/2019 showcases 23 works spanning a period of fifty years of Henry Moore’s artistic career, including his large scale outdoor bronze sculptures. 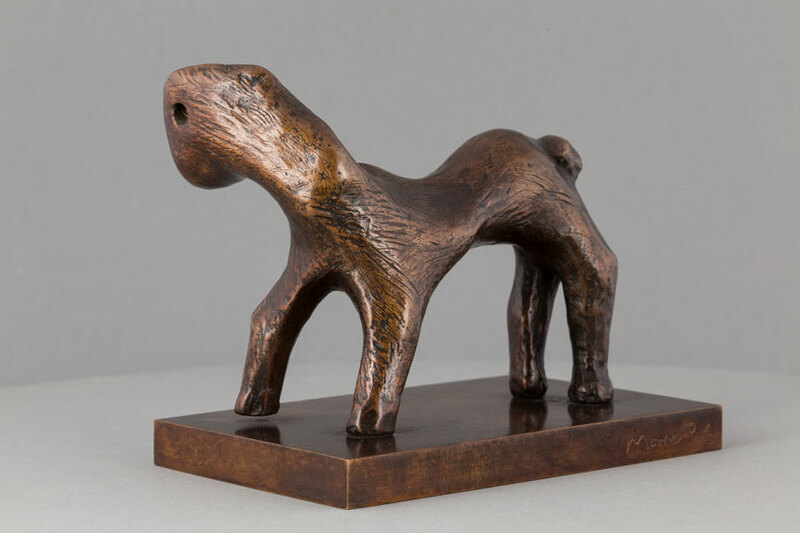 The presented pieces represent the most important themes addressed by the artist: reclining figures, internal/external forms, maternity and animals. The sculptures selected for the exhibition also demonstrate the wide range of formats used by Moore – from miniature forms (such as 15 cm in height), to the monumental, almost four-meter high Knife Edge Two Piece, and Oval with Points which placed outside the Four Domes Pavilion. 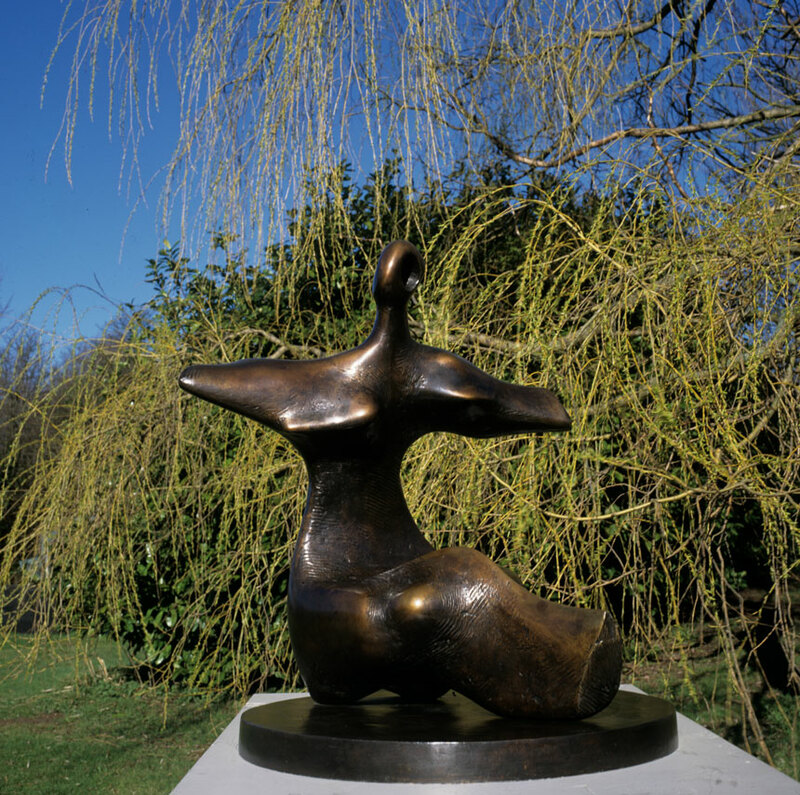 The current exhibition has been organized in collaboration with the Henry Moore Foundation in Hertfordshire, Great Britain, and had already been shown in a different form in the Polish Sculpture Centre in Orońsko, it will be later transferred to the National Museum in Kraków. The Wrocław presentation is certainly unique owing to its location in the magnificent, light-filled interiors of the Four Domes Pavilion, and the vicinity and ensuing dialogue with the best works from the collection of contemporary Polish art.